Merrie Albion is reviewed on the Christian Science Monitor here (download a pdf here). Homeland, my sol exhibition at Flowers Gallery (New York). 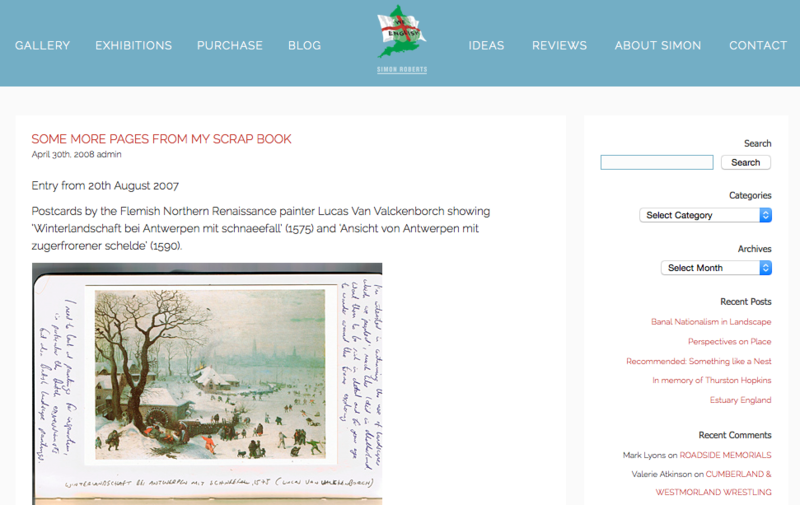 is reviewed by Daniel Maidman on Whitehot Magazine here (download a pdf here). and also by Connor Goodwin on Blouin Artinfo here (download a pdf here). 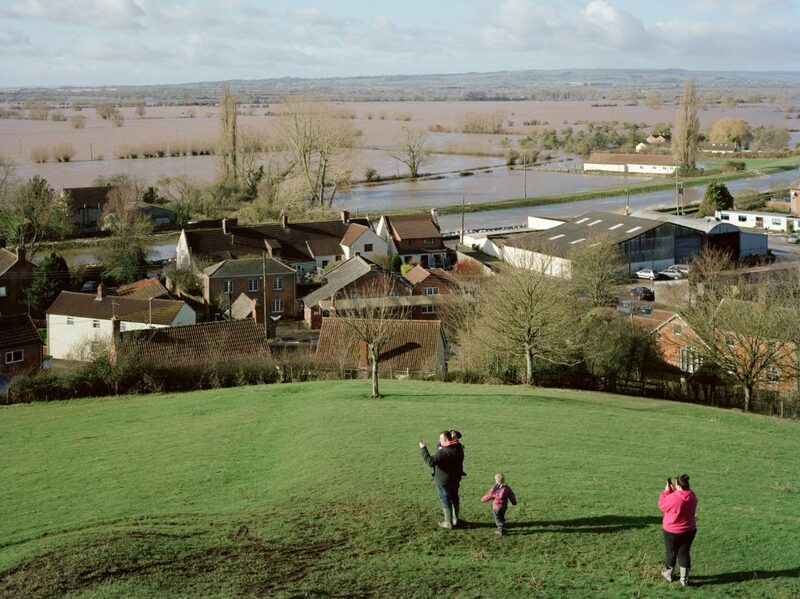 The current issue of British Art Studies‘ Landscape Now publication (Issue 10, Autumn 2018), includes an essay by David Matless where he discusses my photograph ‘Flooding of the Somerset Levels, Burrowbridge, 2014′ from Merrie Albion. Read ‘The Anthroposcenic: Landscape in the Anthroposcene’ here and download a pdf here. To celebrate its 30th anniversary issue Photograph Magazine asked 30 people to choose an image that meant something to them in 2018. Sarah Schmerler, Art Critic and Independent Curator, selected my photograph of Clevedon Pier, which was on show at Flowers Gallery in New York. “Where are we? How did we get here? Many of Simon Roberts’s pictures beg those sorts of deep questions, but this one in particular compels me [Clevedon Pier]. It is melancholy, delicate, yet strong. Here I am in a world that, at least for a moment, has been blotted out. The tiny weather vane points north. The British flag hangs limp. Whatever breeze once came through here has since passed. No need to get my bearings now; I know this psychic place because over the last year I have awoken to an America that more and more I don’t recognize. And the tide, it is rising.” Sarah Schmerler, January 2019. Merrie Albion – Landscape Studies of a Small Island published in late 2017 (Dewi Lewis Publishing) and was exhibited at Flowers Gallery London in early 2018. The work has garnered several reviews and articles, a selection of which can be read below and pdf is available HERE. Merrie Albion was recently featured as the ‘Coffee Table Book’ of the week by The Independent newspaper (below) and also made Sean O’Hagan’s Top Photobooks list of 2017 in The Observer and Tim Clark’s round-up of Top 10 photobooks list on 1000 Words. “A visual chronicler, Simon Roberts’ scenes of public gatherings conflate traditional landscape painting with social documentary. His latest exhibition, featuring photos taken during the past 10 years, focuses on events and places that define recent British history, such as student protests, Grenfell Tower and Shoreham Air Show. “Roberts’ work celebrates the ebb and flow of group activity by which our society seems to breathe. Except, for me, there’s a choking feeling too. Be it airshow, music festival, countryside event, protest or civic assembly. At one level these denotations of culture afford ideas of positive collectivity in the face of the supposed social disintegration commonly associated with our ever more digital age. Roberts’ scenes range from the joyful – a festival on a Kentish beach, a Diamond Jubilee street party on an estate, Eid al-Fitr celebrations – to the poignant, such as an image of Grenfell Tower in the wake of last summer’s tragic fire. He is interested in the drama that is inherent in certain social customs, religious practices or community rituals, where humans become characters within shared stories. He brings the eye of a documentary photographer to the genre of landscape art, highlighting the complexities of our relationships with both people and our lived environment. At a time when the question of British identity is at the forefront of our national conversations, Roberts’ works paint a challenging picture of a country whose differences are as much a cause for celebration as the characteristics its people have in common. “The photographs examine rich and complex variations of Britain that are now even more poignant after last year’s vote. Images of election campaigning in clean and tidy suburbia, protests, the aftermath of riots in London, diamond jubilee celebrations, rock concerts, a family enjoying Brighton beach, computer screens of the trading floor of Lloyds – the list goes on. Necsus: European Journal of Media Studies (Autumn 2016) has a review of my Pierdom work. Written by Brydon, Lavinia and Jenzen, Olu (2016). Review of British photographer Simon Roberts’s project Pierdom, exhibited at the Brighton Museum and Art Gallery in 2015. Interview with Roberts. The review discusses Robert’s work which centres on questions of people and place, particularly in regard to the construction and promotion of national identity both from an aesthetic, historical and cultural studies point of view. The exhibition and its engagement with its audiences is contextualised in relation to the AHRC Connected Communities Research Project ‘The People’s Pier’. Drawing on research findings about local communities and their relation to their pier as a heritage asset and popular culture venue, the review argues the exhibition portrays piers as lived experiences shaped by the mood of the time and the socio-cultural make-up of their location. 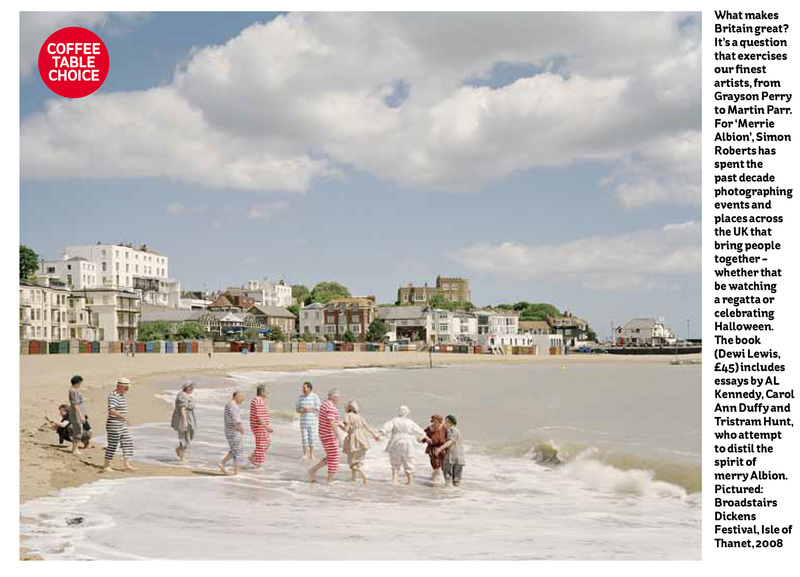 Roberts captures details which reveal the small economies of British seaside tourism as well as the context of piers in the landscape and the imprint of economic changes in these costal regions. From 2011-2013 Roberts toured the British coastline capturing the country’s 58 surviving pleasure piers as well as a few ‘lost’ piers with a 4×5 inch field camera. NECSUS is an international, double blind peer-reviewed journal of media studies connected to NECS (European Network for Cinema and Media Studies) and published by Amsterdam University Press. The journal is multidisciplinary and strives to bring together the best work in the field of media studies across the humanities and social sciences. We aim to publish research that matters and that improves the understanding of media and culture inside and outside the academic community. Pierdom is featured in the Autumn issue of NECSUS (European Network for Cinema and Media Studies), reviewed by Lavinia Brydon (University of Kent) and Olu Jenzen (University of Brighton). NECSUS is an international, double blind peer-reviewed journal of media studies connected to NECS and published by Amsterdam University Press. This paper studies the case of a landscape photography project by British photographer Simon Roberts: We English—the project comprising the book published by Chris Boot in 2009, exhibitions of the large format prints of the photographs, and the artist’s dedicated website with a blog and forum for the public to propose subjects. We address the question of English national identity in Simon Roberts’s photos through the concept of “banal nationalism” coined in 1995 by Michel Billig. 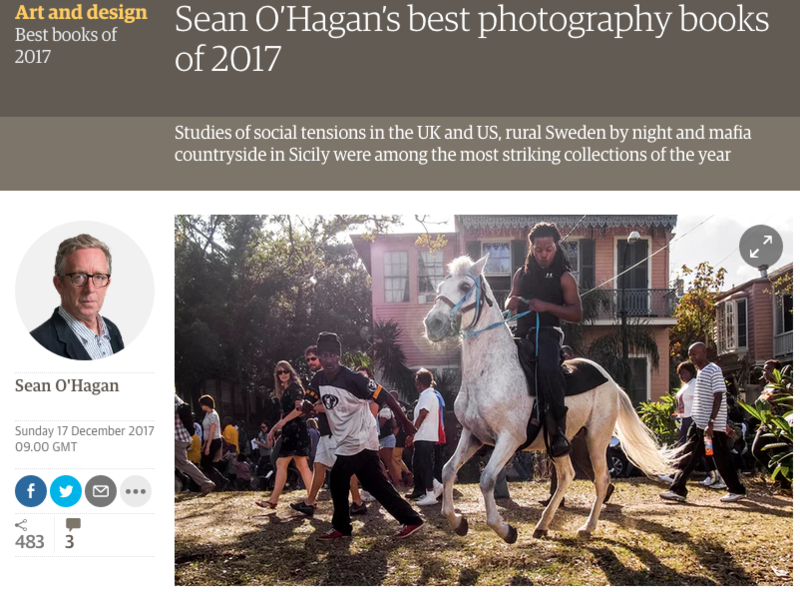 The first part draws on Billig’s thesis that the nation is “flagged” in the most banal everyday environment and activities, and discusses whether Simon Roberts’s documentary photographs evidence such subliminal national “flagging”. The second part shows the limits of the concept of “banal nationalism” when studying We English because of the complex, collaborative and reflexive nature of the project. By revealing how personal and intertextual references inform both the photographer’s and the viewer’s perception, the artist documents the dialectical process and negotiations at work in national identification. The third part contends that this dynamic approach of Englishness allows Roberts to propose his own re-imagining of the homeland. You can download a pdf of the full article here. Chambefort-Kay recently completed a PhD entitled “Ecritures photographiques des identités collectives, Grande-Bretagne, 1990-2010”, which deals with many British photographers and exhibitions from the period and includes some chapters about We English and The Election Project.